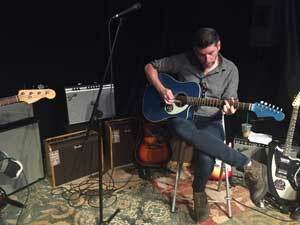 Looking for the right acoustic guitar amp can sometimes be a daunting task. With so many controls and complex configurations, sometimes all you want to do is just plug in and get to playing. Thanks to the new Fender Acoustic Pro and Acoustic SFX amps, the simple controls and powerful tone you’ve been wanting has finally become a reality. Rick Heins, product manager for amplifiers at Fender, strums on a Fender Sonoran acoustic guitar while demonstrating the new amps. We spoke with Rick Heins, product manager for amplifiers over at Fender, to explain the thought process behind the amps’ aesthetic and overall design. 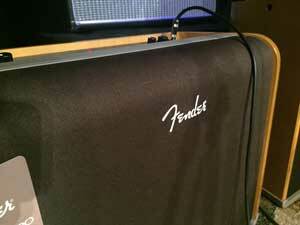 At first glance, you might notice that these amps are quite a departure from traditional Fender design. “We wanted to do something out of the box as far as the way that they sounded and also the way that they looked,” Heins said. The curved wood shell that makes up the cabinet was created to not only resemble a beautiful piece of furniture that could fit in with the rest of your living space, but also designed to enhance resonance and increase projection. Clever design was also put into the amps’ built-in handles. 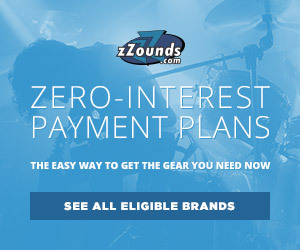 If you play along to backing tracks live, or just want to play along to your favorite music while practicing, you can securely place your smartphone or MP3 player right in the handle, which is also conveniently close to the auxiliary input. Front of the Fender Acoustic Pro. Heins explained Fender was on a mission to determine what players needed and what they didn’t. After talking to gigging acoustic players from coffee shops and elsewhere, Fender ultimately ended up designing an amp that boiled down to the essentials of a workhorse acoustic guitar amp. “We see a lot of other acoustic amps out there and some of ‘em have a ton of bells and whistles — some don’t even look like amps,” Heins said. 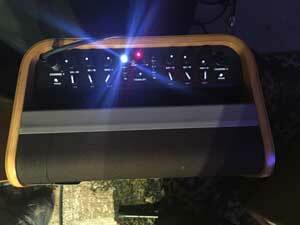 “This is kind of the best of both worlds where it looks like an amp, but it looks like the future of amps. I don’t think there’s anything out there like these.” Keeping that streamlined design in mind, the controls on both the Pro and the SFX keep it very simple. The Pro features two channels, each with its own 1/4″-XLR combo jack so you can plug in either a guitar or a microphone. 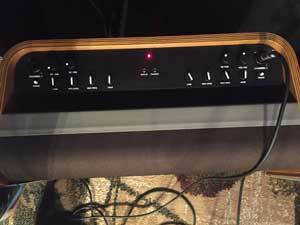 Both channels also feature a superb-sounding reverb, a volume control, and a 3-band EQ. Along with the straightforward Low and High controls, the Mid control also features a sweepable Mid frequency to dial in your preferred tone with surgical detail. Add in a phase switch to help troubleshoot pesky feedback problems and you are left with a lean, mean, acoustic amplifying machine. Control panel on the Fender Acoustic Pro. Despite the SFX‘s lower 2×80-watt stereo power scheme, it incorporates a few design features not shared with the more powerful Pro. On-board effects such as chorus, delay, and Vibratone (vibrato) can be engaged via individual buttons. On the side of the cabinet you’ll also find a 6″ speaker which is the heart of the SFX’s stereo spread. A dial on the control panel allows you to mix in just the right amount of the SFX stereo effect to work in any situation. Of course, listing off features is only half the battle when trying to decide what amp will work for you. Control panel for the Fender Acoustic SFX. Once you see and hear these amps in person, you’ll know that he’s absolutely right. 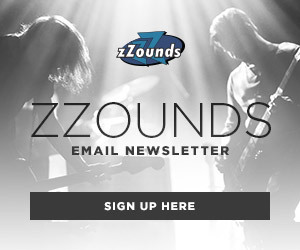 Order your Fender Acoustic Pro or SFX amp today at zZounds!